We have created this ultimate list of tools for success that will help you automate a lot of tasks that would otherwise require a whole team of social media managers, analysts, and developers. That’s a lot of $$$ you can save! What often happens when you decide to start your first, or maybe thirty-first website/blog/tool/shop is that you devote all your time and effort to it and that IS the right attitude! But what if we told you, that you CAN do both – run your business efficiently, track your results, get the right customer feedback, AND still have time to sleep or meet your family and friends, not just for Christmas? This list starts with tools that help you test and launch your idea, and ends with new lead generation, and everything else you need on the way. So many startups fail because they build their tool or product for years and years, and when it finally goes to market… well they realize there is no market. Learn from their mistakes and build your product together with your customer! It will be cheaper, and less painful, if you realize, your idea just isn’t going to make it. LaunchRock is a platform where you can create “Launching Soonî page. Collect interest, increase sharing, & build your audience. LaunchRock pages help you incentivize and reward users for telling others about your project through email & their social networks. Just had the next billion-dollar app idea? 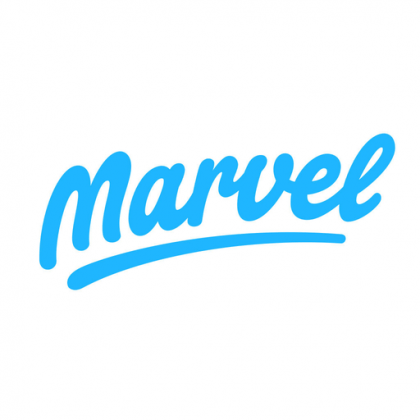 Grab a pen and within minutes your idea will come to life with Marvel. This is free mobile & web prototyping tool for everyone. No coding required. 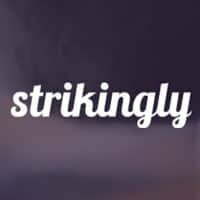 Strikingly is an easy way to build a mobile-optimized website. For your business, project, or personal branding, a great-looking website is necessary for your online legitimacy in the Mobile Age. With no code or design experience at all, you can set up a quality site in less than 30 minutes. 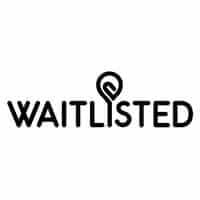 Waitlisted can help you build a community of early adopters before the launch with a fun spin – by sharing their referral link they compete against each other in order to improve their position on the waiting list. With Celery, you can set up a pre-order e-commerce and sell your products while you develop them. It works like a crowdfunding campaign, so you can set up your custom rewards, all in one solution that you can plug into your own site, in minutes. ErliBird is an early adopter and beta testing community with 100,000+ real-world users. You can recruit tech lovers to test your beta product on their own devices and analyze the results. KillerStartups is a user driven internet startups community. Entrepreneurs, investors, and bloggers are staying informed on up-and-coming internet startups using their blog platform, where internet entrepreneurs submit their startups to see what others think about it. Working smarter not harder and setting up the right goals is the gold. And either you are a one-man team or a bigger crowd, you can easily loose track of the bigger picture. Here are the tools for success in your time management. It is a private social network that helps you and your company stay on top of it all. Yammer collaboration software and business applications allow you to get connected to the right people, share information across teams and organize around projects so you can go further ñ faster. RealtimeBoard is your regular whiteboard, re-thought for the best online experience. Itís unlimited ó you can use it to draw, make sticky notes, write text, upload PDF files, even from Google Drive. Weekdone weekly reporting allows for teams to create, share, and align your weekly plans across the team. This not only provides valuable information for managers but helps teams communicate and stay up to date. Draft AI is a minimalistic Gmail plugin that drafts your scheduling emails for you. It checks your calendar, coordinates time zones and sends the invite. Without leaving Gmail. It is a bit of both, marketing manager’s dream and time saver. With the CoSchedule you can plan and automate your social media, content, emails, events and more, and the whole team can pitch in. You are busy building your product, we understand, but interacting with your customer is vital. We don’t build marketing funnels for no reason, consistent and frequent engagement keeps customers interested, and educates the prospects. Here are tools to automate your social media and interact in new ways. Manage multiple social networks, schedule unlimited posts, recycle evergreen content, collaborate with your team, and analyze performance – all from a single dashboard. With Quuu you can automate your social media accounts to share content of your interest. And when you have an amazing piece of content yourself, turn to QuuPromote so others can spread your word. Sumo provides the best tools that will make it easy for your readers to join your email list, share your articles and optimize with analytics. If you are new to blogging, writing your first dozen of masterpieces can be intimidating. Writally blog post recipes are curated by real humans, so they give you a personalized structure based on your topic, style of writing and purpose. When that blog post is ready, you need some quality images to really grab the attention of the reader. Everypixel aggregates stock images from the worldís 50 top microstock agencies and uses neural networks to filter dated and cheesy content. adJelly’s size guide is a free tool created to help designers, marketers & small business owners get through the mental maze of online ad research. You can also create Facebook ads directly from adJelly. Wyzerr is a survey tool that is all about helping you get the data you need without the hassle. How it stands out is the playful approach the surveys are designed, to engage with the customers more effectively. Wedgies is a real-time platform that aggregates data and creates better interaction through questions. These polls take less than 30 seconds to make. Once you share your poll, votes are counted in real time. 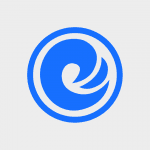 This widget will help you share all your contact info in the easiest way. Simply pick out your username, fill in contact info and let your customers connect. Think about your before and after sales support. If you are reachable in more than one way, it only adds value, but nothing is worse than unseen Messenger question. So here are tools to create a better experience for those in need and tools for successful tracking of all your channels. 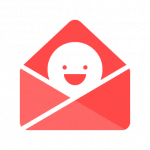 Squaresend turns your mailto links into delightful feedback forms. It takes less than 30 seconds to set it up on your site or publishing platform. Just place the script on your site and authorize your email accounts. Casengo offers super simple customer service software for email, live chat, WhatsApp, and Messenger. Keep all together so you never lose a message from a customer. Manage [email protected], [email protected], [email protected], and more ó all in one place with Front. With Front, teams across the company can manage all of their communication channels simultaneously. You most likely already chat with your team on Slack. Now you can also connect with customers on your website all from a single Slack channel. Create a chatbot on your website or Facebook Messenger to collect feedback from your customers and build a better business. If you get it right the first time, congratulations, you might be the chosen one! For the rest of us, let’s learn from our mistakes and improve continuously. That is why we need so many tools to track and analyze our performance and build our business even better. Crazy Egg allows website owners to create tests to figure out what people are doing on their website and gives you the competitive advantage to improve your website in a heartbeat without the high costs. Heap automatically captures every user action in your web or iOS app and lets you analyze it all retroactively. Google Optimize has the website testing and personalization features you need to create online experiences that engage and delight your customers. With Chartio, you can integrate and explore data of your website in minutes. It is easy enough for anyone to build beautiful dashboards and visualizations and share them across the organization. Google Analytics is a web analytics solution that gives you rich insights into your websiteís data. When you have gained insight of your user actions, you might see the ways to improve the onboarding path. With Appcues you can make changes and control the experience without writing code. If you have multiple websites or projects to run Growth Race has you covered! It shows all your web traffic, domain and social profiles metrics in a single dashboard. When you have something great to show you’ll want to find new customers, affiliates or superstars to collaborate with and with these tools, you will find them in minutes. Afterward, it is about sending them the right message, to knock their socks off. 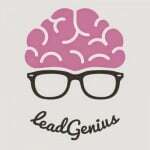 LeadGenius provides delightfully simple sales and marketing services for your growing business. 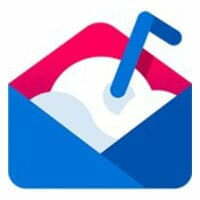 Promote content, build relationships, and generate leads with Mailshake. All you need is a Google account. Turn customers, affiliates, and resellers into a powerful marketing team to grow your business faster with GrowSumo. 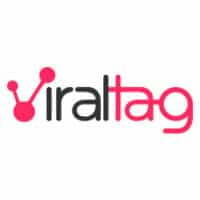 VoilaNorbert aims to help people find anyone email address by only having their full name and company domain. Find email addresses by simply writing a name, last name and company domain or validate a specific email with the Email Verifier tool. If one tool is not enough, Hunter.io will find you more email addresses from company domains as well. With the Chrome extension, you donít even have to leave the prospectís website. Run ad campaigns with just the Instagram content creators that reach your target audience. List your offer, and pick the creators that have submitted the best content produced of your brand. Hurray! You are getting first visitors, first sales. But how to keep them coming back for more? Use these tools to target those abandoning your shopping carts, announce hard to miss deals and just say thank you for being amazing supporters! With Marketfox you can enlarge your marketing funnel by creating drip campaigns with not only email but also push notifications, in-app messages, SMS and beyond. These automated drip campaigns use data-driven machine learning and gets results like never before. Really Good Emails collects all the good things e-mail design can do for marketing. It curates all kinds of emails, like newsletters, product emails, password reset emails etc. They have ìreally goodî examples for about every kind of email out there. Send behavior-driven emails and in-app messages to your users, based on who they are and what they do, with Retain.cc. 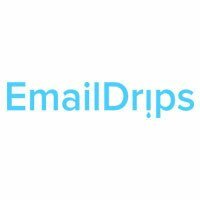 EmailDrips is the worldís first gallery with the best email sequences from the experts in your industry. Get inspired by examples of email sequences like webinars, product launches, free trials, onboarding, live events and more! See a lot of exits on product pages or shopping carts? Integrate Followprice button and engage with window shoppers with future purchase intent. 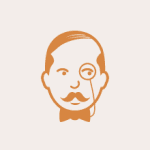 Your visitors will be notified of price or availability changes, so they can return more often. Ready to test these tools for success? Here we are, at the end of this ultimate, little-known tool post that will definitely boost your business and save you plenty of time. When you try any of them, let us know if these were really the tools for success. 1. Let us know how did your business improve? 2. Are there any other productivity or marketing tools for any occasion that we should check out and add to the list? If you feel like you are ready to bring your marketing game further with the help of these tools – the next step is to automate your marketing funnel. Educate yourself and if you have any questions feel free to leave a comment. Helvis Smoteks is an SEO-mastering, content-smithing marketer who owns inbound marketing agency Market Me Good. Aspazijas bulvāris 5-222, Riga, LV-1050 Latvia.